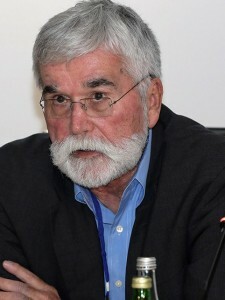 The interconnectedness between energy and power is at the center of a new book by Dr. Leila Zakhirova, assistant professor of political science, and her co-author, Dr. William Thompson. 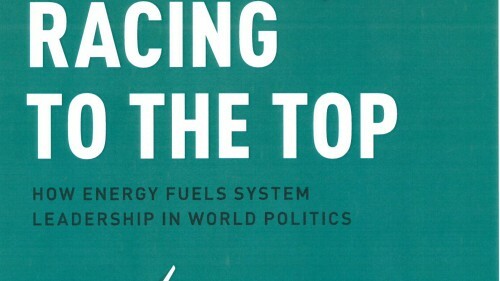 “Racing to the Top: How Energy Fuels System Leadership in World Politics,” recently published by Oxford University Press, shows how much the United States needs to be in the renewable energy race and how the authors believe technological and economic leadership in the world is riding on it. Zakhirova and Thompson talk about their book and the research that’s behind it. What caused you to look at the topic of energy and world power/politics? We are currently in the midst of an energy transition from fossil fuels to decarbonized sources, so this topic is not only timely but hard to overlook. In the past, the advent of fossil fuels transformed what could be done in terms of economic development, something we often take for granted. The role of access to cheap energy in constructing international political hierarchy was woefully underdeveloped and we try to address that problem with this book. What is some of the data that you looked at for your research? This work is largely qualitative. We developed a model that focuses on the interactions among a number of factors that were critical to the rise of powerful states. We applied this model to a succession of leading states over the past 2,000 years from Rome and Han China to the United States. The specific variables we examined include frontier exploitation, transportation/communications, trade, urbanization, agriculture, population, technological innovation, energy transition, and power-driven machinery. If the U.S. gets edged out in the alternative energy race, what does this mean for the country and its role on the world stage? Our basic argument is that in the past whichever state led the energy race of its time also became system leaders. With climate change considerations today, fossil fuels can no longer be the energy source that powers the 21st-century, global economy. Thus, the current energy race is about renewables. Falling behind in the competition for developing alternative energies means falling behind in the centrality of the United States to world politics and the world economy – a position the United States has enjoyed for nearly a century in various forms. Lessened centrality means less status, influence, and wealth in the world for the United States. Why do you think the U.S. is now lagging? Three reasons. First, system leaders get complacent with their leading position and are less willing to overcome vested interests that emerge to defend past approaches to getting things done. Second, leaders get eclipsed by rising states that are hungrier and more eager to embrace novel approaches. Third, the United States has developed a domestic political system that is increasingly dysfunctional and polarized as a consequence of its long-term relative decline. This process has encouraged polarization around the reality of climate change and the need for decarbonization, among many other policy issues. What else is important about the effects of slow progress in the energy race? Technological revolution often proceeds in tandem with the development of alternative energy sources. Lagging in one area is likely to mean lagging in other areas and, as a consequence, we can anticipate slower economic development overall. What does this mean for the U.S. economy and technology as a whole? Everything is related. The U.S. economy, technological infrastructure, and energy landscape are all intertwined with one another and the role of the United States in world politics. It is difficult to treat them as separate topics. Without access to cheap and abundant sources of new energy fuels that do not also undermine our very ability to survive on this planet, the U.S. economy is likely to lag in technological edge – which might very well seal its decline in world politics.